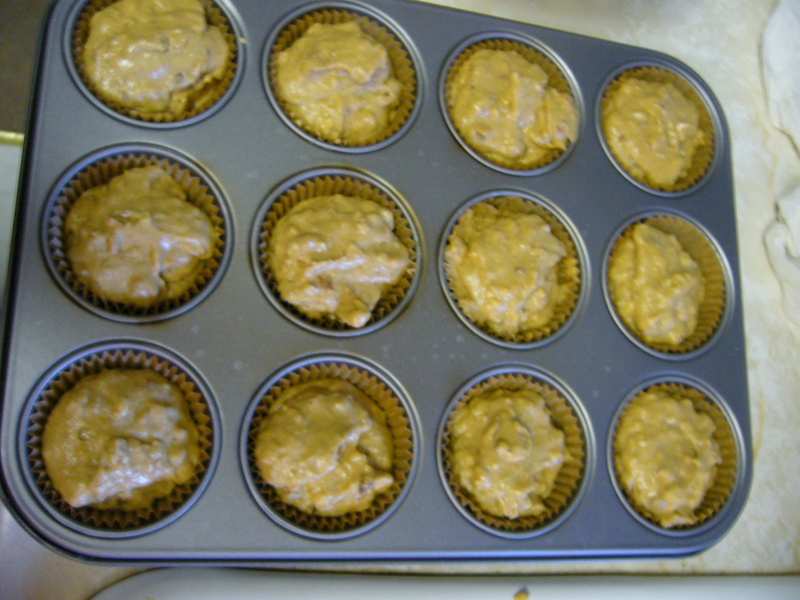 My third eCourse lesson I tried was to bake soaked muffins. What are soaked muffins? 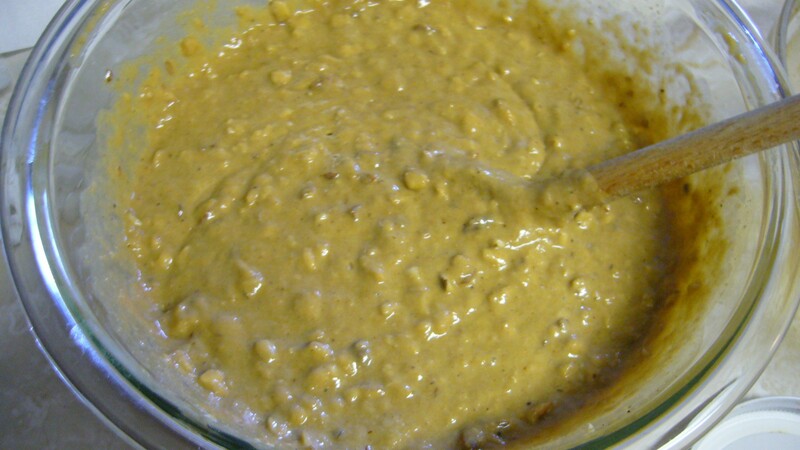 They’re a baked good that has gone through the process of soaking in order to neutralize the phytic acid in the flour. As a reminder, phytic acid is present in seeds, nuts and grains and it is an anti-nutrient that prevents our guts from being able to absorb certain nutrients in the foods we eat. 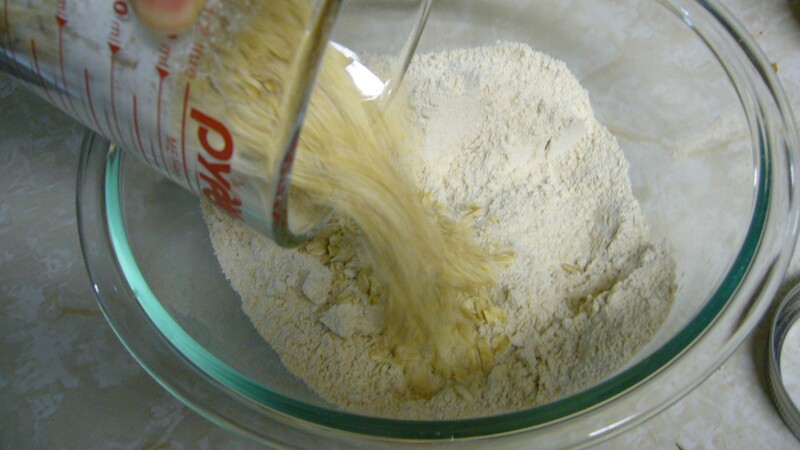 You can also sour (like in sourdough) or sprout your grains to get rid of phytic acid, but soaking may be the easiest of the three to implement into most baked good recipes. 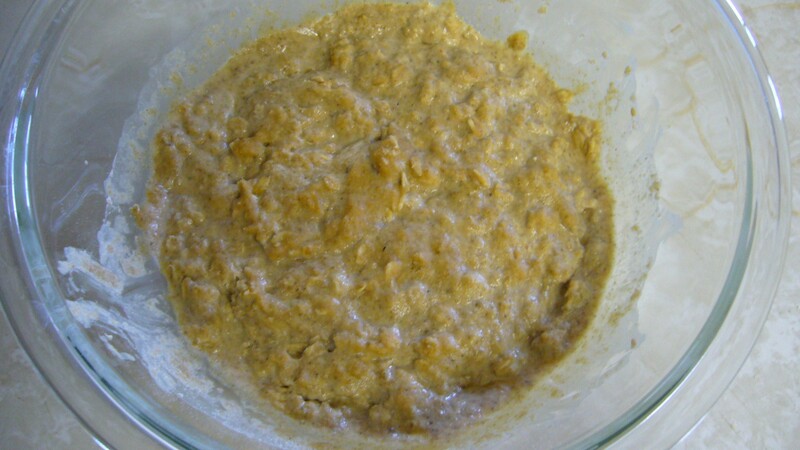 According to what I’ve learned in my cooking eCourses, you can turn many regular baked good recipes into soaked recipes just by adding a soaking stage with the original recipe’s flour/grains and liquids and then adding an acidic liquid. 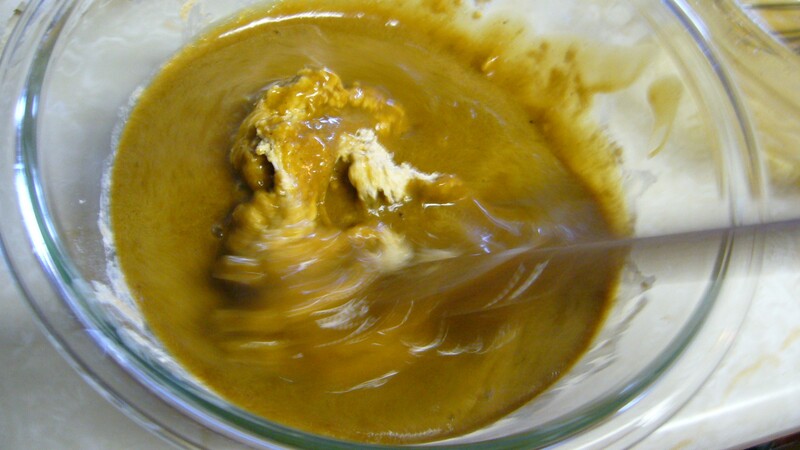 You’d let that mixture soak overnight and then proceed with the rest of the steps from the original recipe. 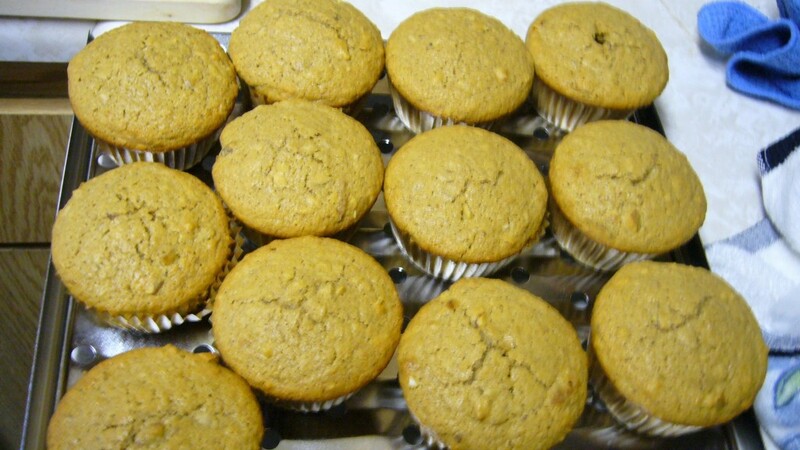 I have very little experience baking, so the fact that these muffins turned out so easy to make has really encouraged me to pursue more baked goods and create my own soaked versions of popular recipes. 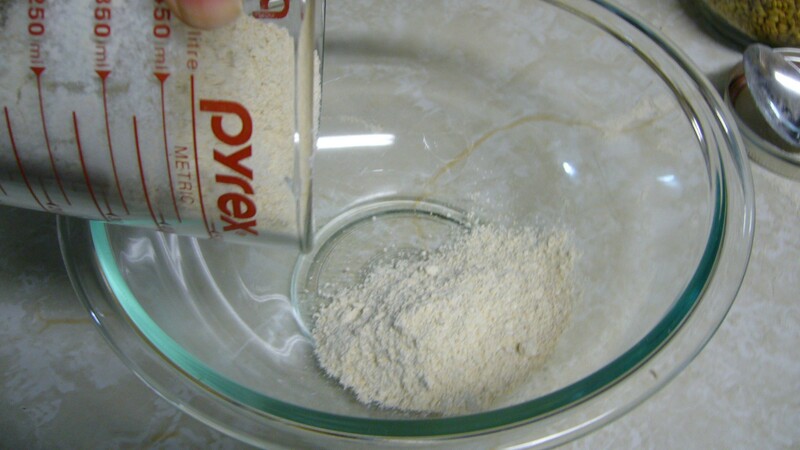 The first step was to prepare the soaking of the flour. I measured out the amount of flour I needed. 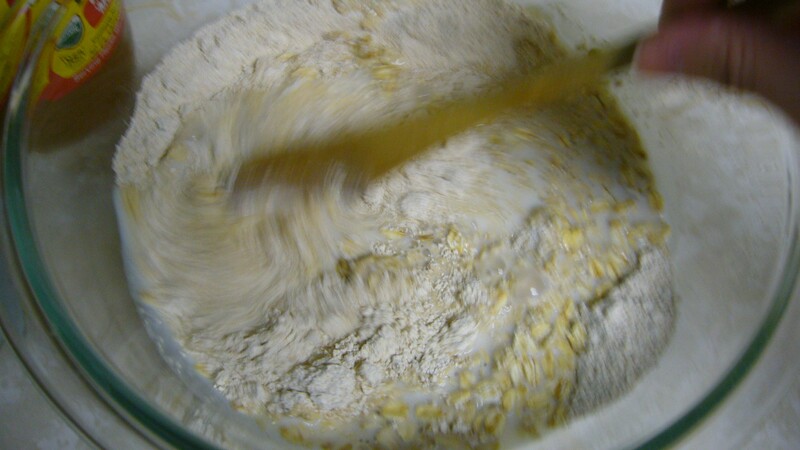 This was actually fresh milled organic soft white wheat flour straight from my Vita-mix! 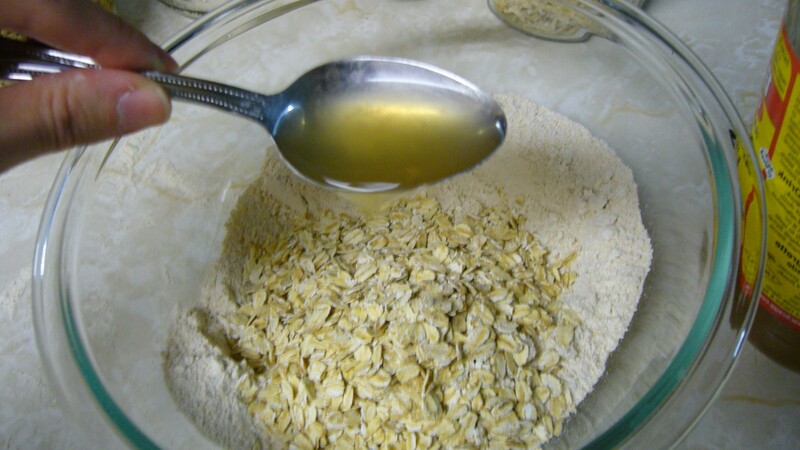 Next, I added rolled oats. And some apple cider vinegar. Just about any acid will work, such as whey, kefir, lemon juice, etc. The acid is integral in helping the grains neutralize the phytic acid. And finally some fresh raw milk. Yum! 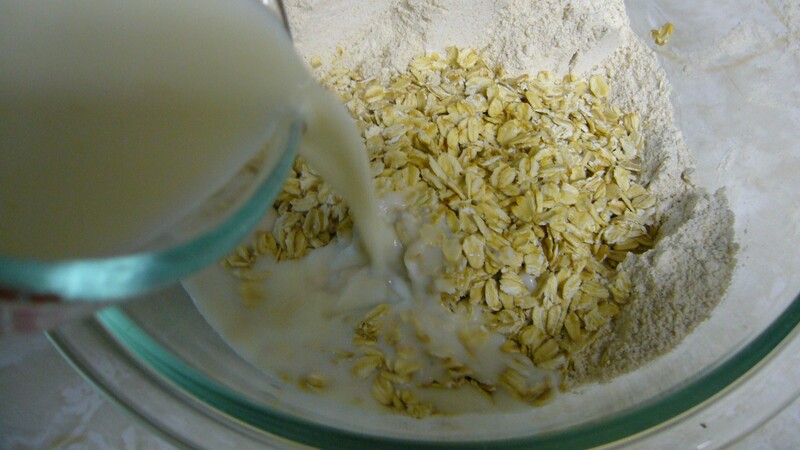 Then I mixed it all up really well to make sure all of the flour and oats were fully wet and saturated with milk and apple cider vinegar. 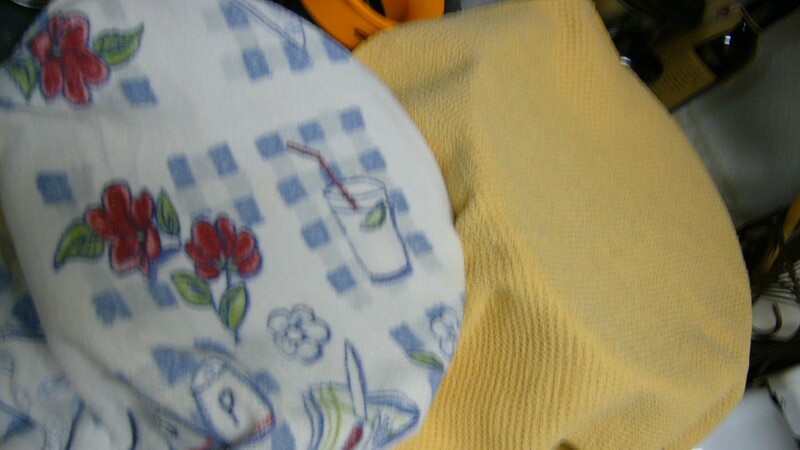 I left that to sit in a warm place over night covered with a towel. I was also making something else at the same time, so I set both my soaking foods in the same place. 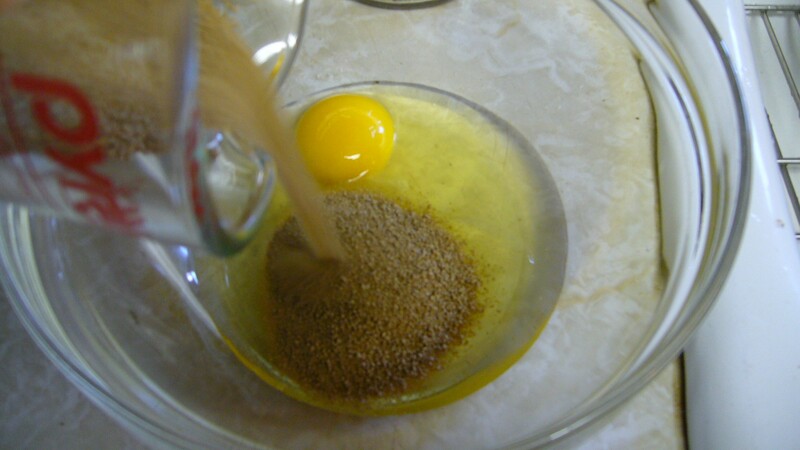 The next morning, my mixture looked like this. 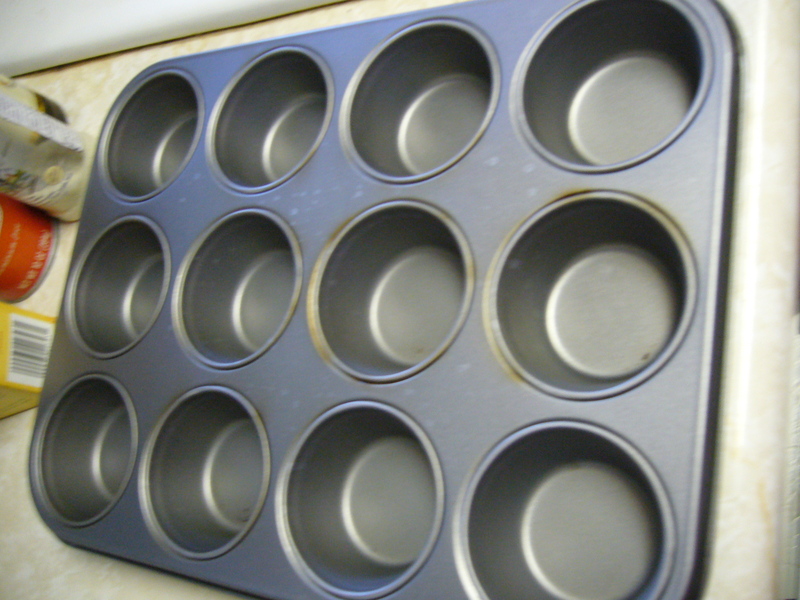 Next, I found my old muffin tray. Because my tray is made of aluminum, which I’m now learning can leach into your food, I prepared the tray with little muffin paper cups. This helps minimize the muffins from touching the aluminum tray. Plus, having paper cups means it will be easy to hold the muffins to eat later. Next up was to prepare the wet ingredients. 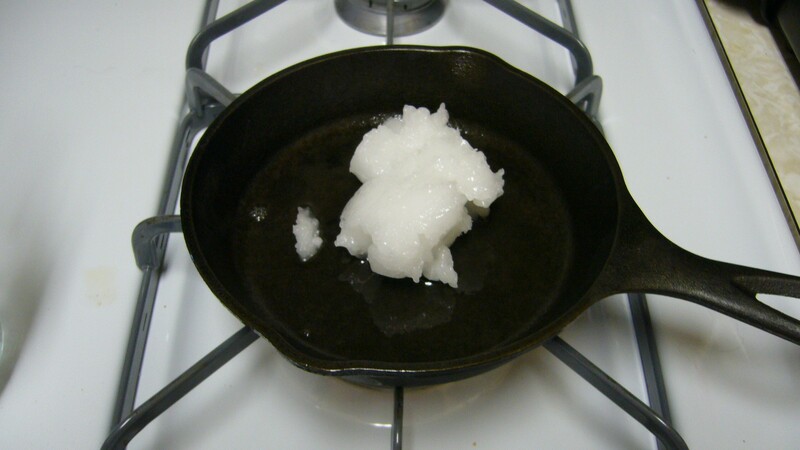 First up was to melt coconut oil into a liquid. I let this slowly melt on the stove while I gathered the rest of the wet ingredients. 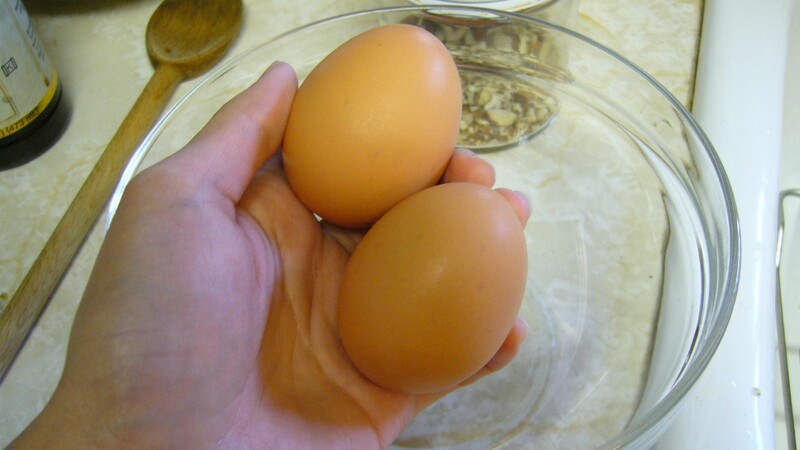 I bought these beautiful pastured chicken eggs at the farmers market. I love eggs! Don’t they look just wonderful in my hand? 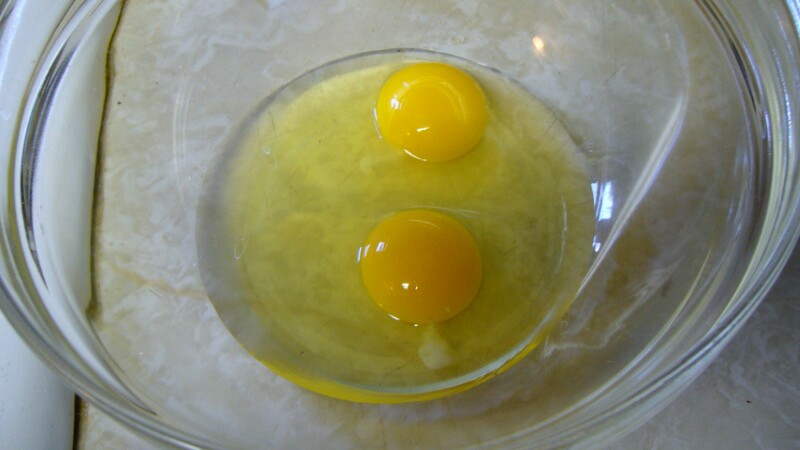 Their yolks are amazingly orange, too, but I’m not sure my camera did them justice. Next up was sucanat. Sucanat is dehydrated sugar cane. Apparently, this is what sugar used to be before sugar became the processed substance it is today. 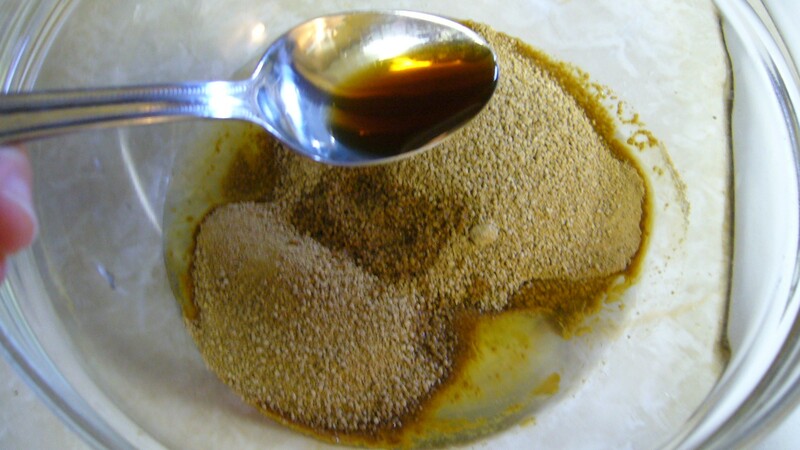 What’s nice about sucanat is that while it is still sugar, it also still has a lot of beneficial minerals intact. If one eats sugar, this is the best kind of sugar to eat! After sucanat, I added some vanilla extract. Vanilla is one of my favorite flavors, it smells so dreamy! 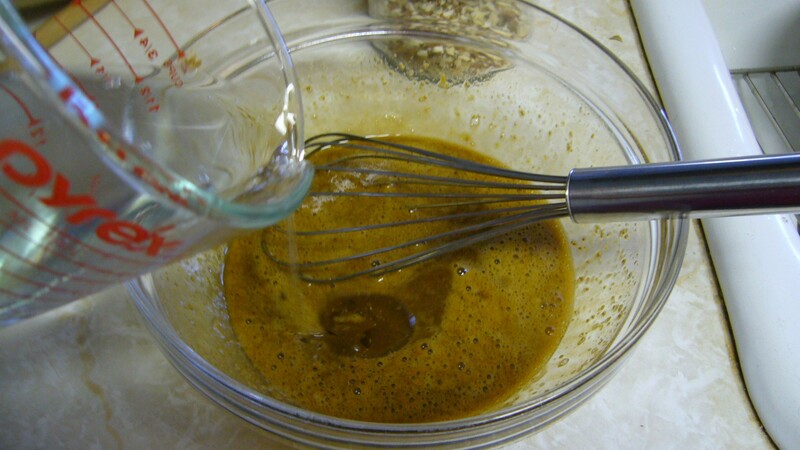 Then I whisked the ingredients well until it was smooth. 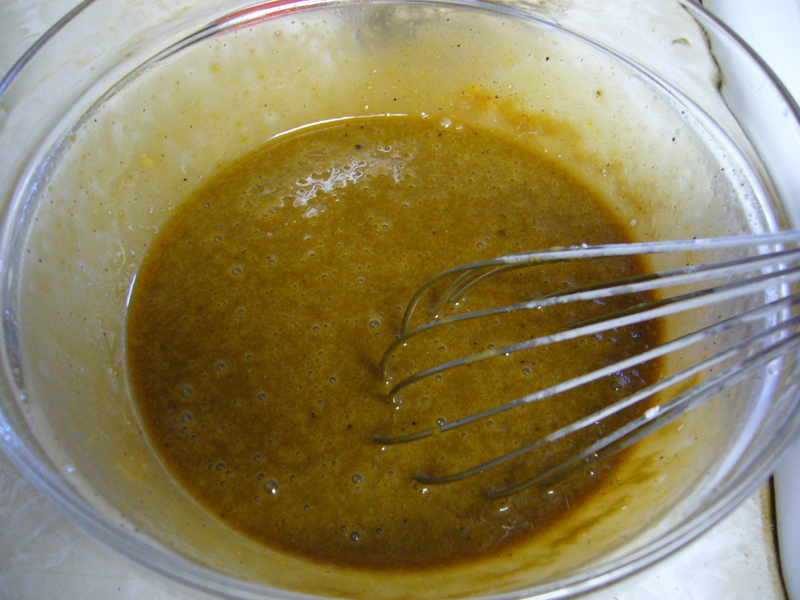 With the coconut oil all melted down, I slowly whisked that into the wet mixture, too. 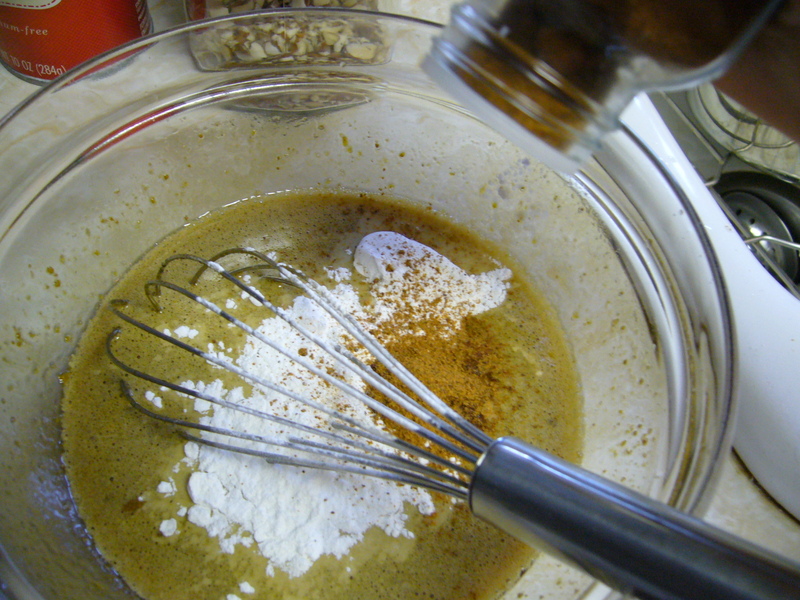 Then came the baking powder and all the yummy spices. I put in cardamom, clove, and nutmeg. 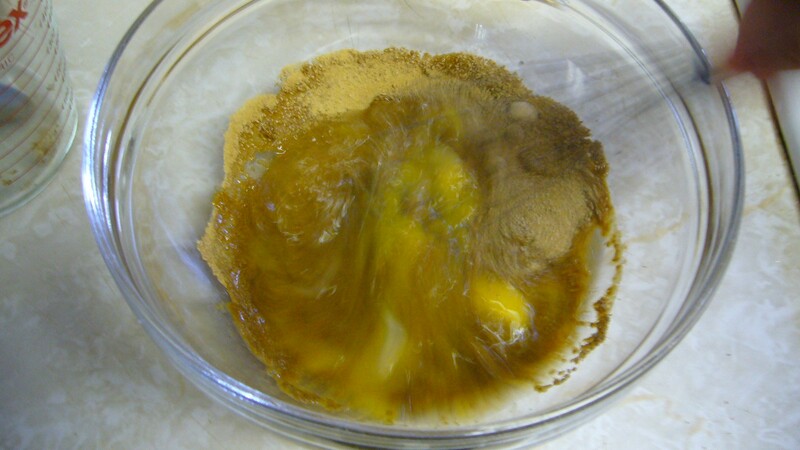 And this was what my wet ingredients looked like when I finished whisking it all together. At this point, I had a bowl of wet ingredients I just put together and a bowl of soaked “dry” ingredients. 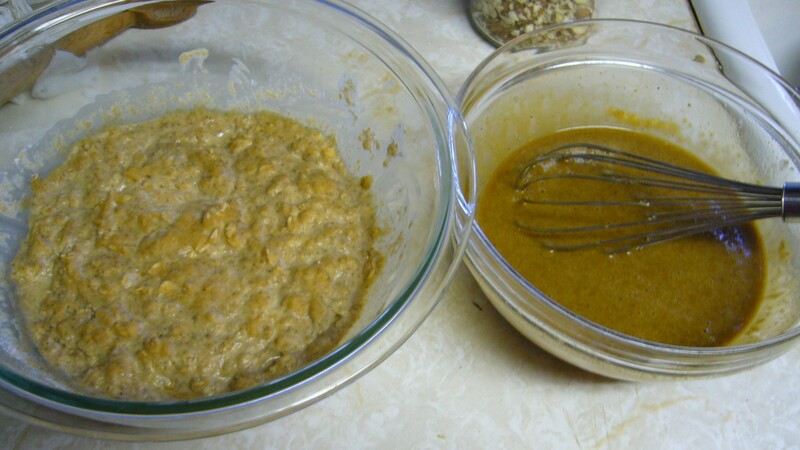 I mixed the two together, making a goopy, but appealing mixture. 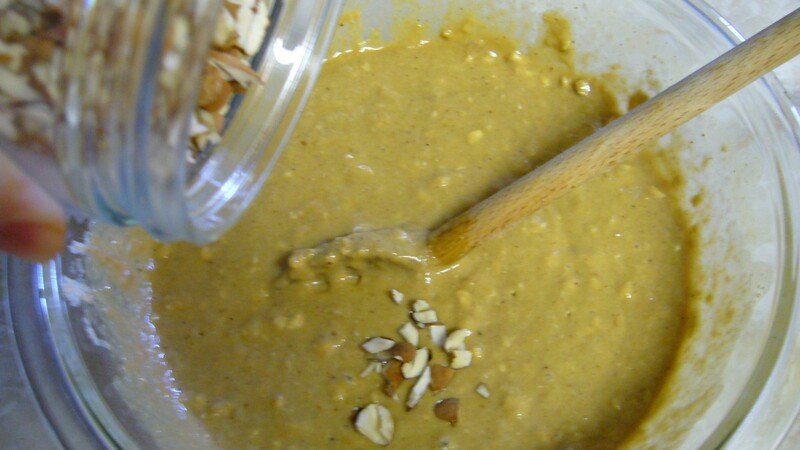 And then mixed in some chopped up raw crispy almonds. These almonds had been previously soaked and dehydrated. 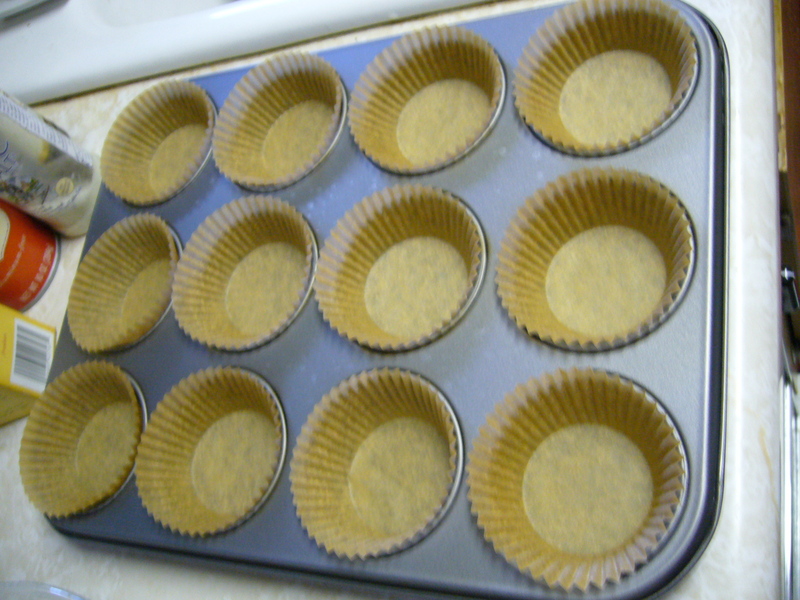 And voila, all ready to be put into the baking tray. 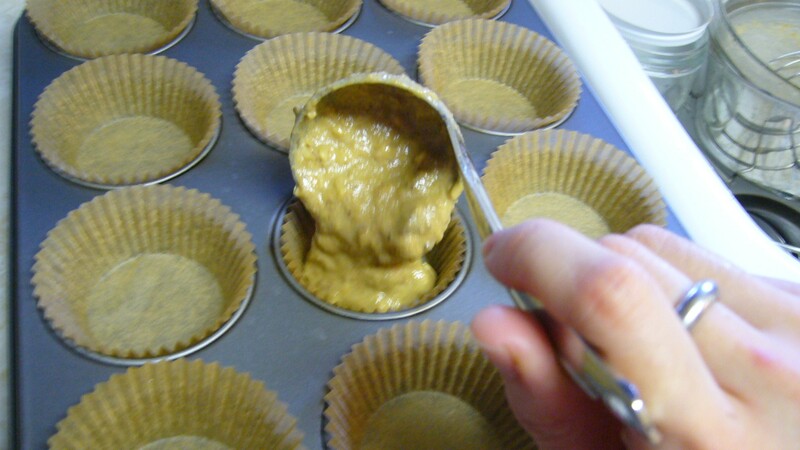 I used a small ladle to scoop the mixture into each baking cup. And in the oven they went! After about 20 minutes in the oven, they looked like this. After they cooled, they were absolutely delicious! Not too sweet with lots of yummy spices and great texture. Rene and I ate them with chili or smothered with plain raw butter. Absolutely yummy! 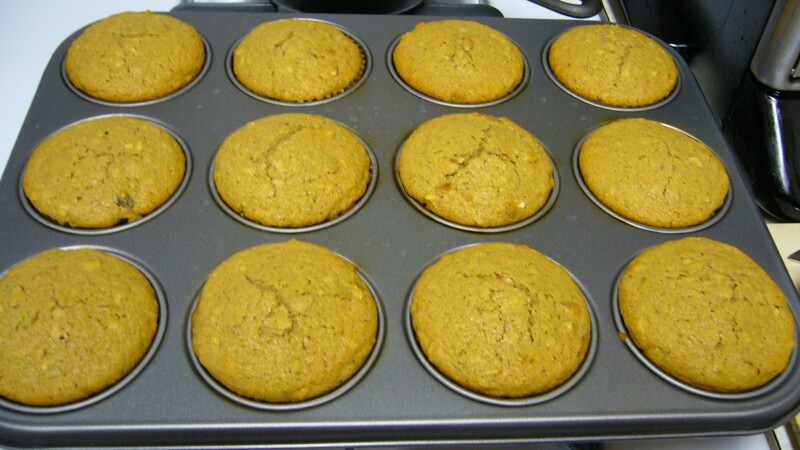 Do you have a great recipe for muffins? Have you ever tried a soaked baked good recipe? 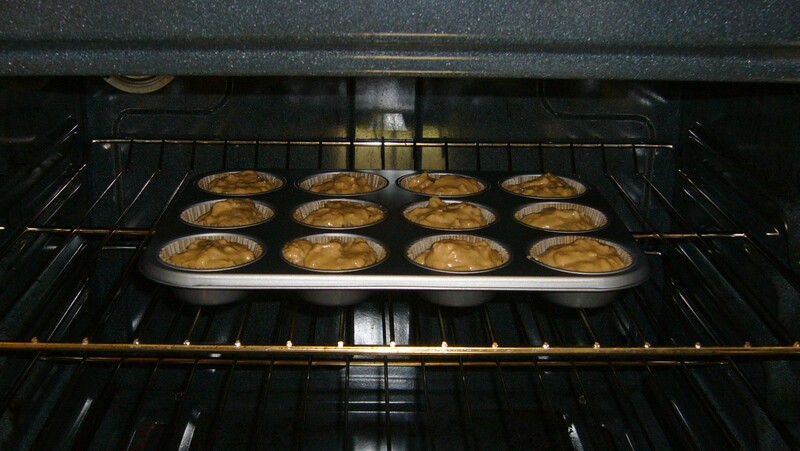 Now that I can make muffins, I want to learn to make a lot more baked goods, like cookies and pies and pastries! Please share your awesome recipes! Looks great! I was just wondering what the measurements are for the ingredients? Thanks.